Disney is betting big on streaming. Disney is banking hard on becoming a competitor in the streaming service game, with Disney chairman-CEO Bob Iger calling it the company’s “biggest priority” in 2019. A new report shows how the service plans on doing just that. Mainly, by relying on its own movies. In a large report from Variety, industry leaders went into their ongoing plans to compete with streaming services like Netflix and Hulu (which Disney may gain a majority stake in if its acquisition of Fox assets goes through). Iger shared more information on the streaming service, set to launch in 2019 that will feature Disney, Marvel, and Star Wars movies and shows. The CEO gave details about what the planned streaming service will do—or, more specifically, what it won’t do. This includes things we already knew, like how it won’t be pulling existing Disney and Fox-owned movies and shows from Netflix, Hulu, and other streaming services to put onto their own platform. That means shows like The Gifted, Marvel’s Runaways, or ABC’s Once Upon a Time won’t be heading over to Disney’s streaming service [Update: What Variety erroneously called Disney Play.] at least not for the time being. Variety says Disney’s service won’t cost as much as Netflix (which runs from $8 to $14 per month), because they won’t have nearly as much original content. Disney is counting on the exclusivity factor of selected Marvel, “Star Wars,” Pixar and Disney-branded properties to drive interest in the service. Iger has acknowledged that the Disney price tag will be less than Netflix’s $8-$14 monthly fee — a reflection of the lighter content load. “We have the luxury of programming this product with programs from those brands or derived from those brands, which obviously creates a demand and gives us the ability to not necessarily be in the volume game, but to be in the quality game,” Iger said. We’re still learning more about what’s in development, but here’s what we’ve got so far. In addition to some streaming-exclusive films like Sword in the Stone, there are reportedly five original TV series being planned for the service, including live-action shows for both Star Wars and Marvel. Since there won’t be a bunch of original content, the company is betting big on the streaming service’s access to its slate of current and upcoming movies. 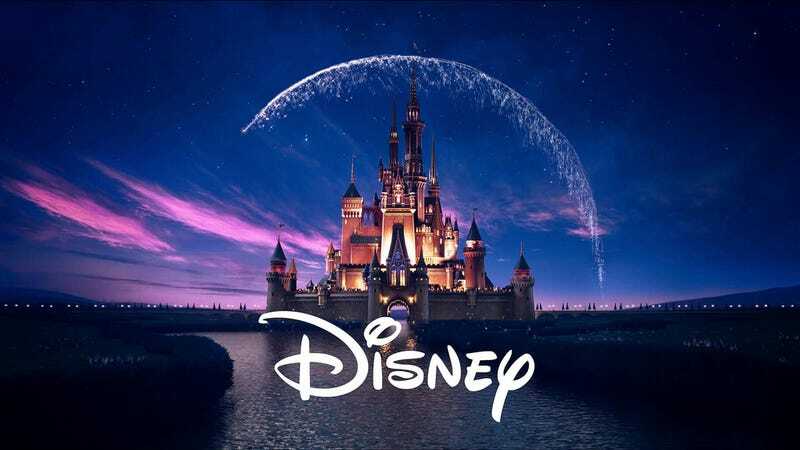 Films like Captain Marvel, The Lion King live-action adaptation, and Frozen 2 will all come exclusively to Disney’s streaming service—along with other films in the Disney catalog, after they’re pulled from Netflix. Disney is also reportedly working on a way to restore Star Wars broadcast rights, following a 2016 deal with Turner that gave it TV and online broadcast rights through 2024. With or without Star Wars flicks, will Disney’s movies and small swath of original stuff be enough to justify people spending money on another streaming service? According to the report, investors aren’t sure, and it could wind up costing Disney if it doesn’t work. One analyst said the service would need 40 million subscribers paying $6 per month just to break even. Correction: An earlier version of this article referred to Disney’s streaming service by a working title of “Disney Play,” based on the report from Variety. In a statement to io9, Disney confirmed that Disney Play is not a working title for the streaming service.